Was King Solomon a godly man or not in the Old Testament era? Did he engage in gross sin and confess it? Was he once saved and then lost? Did he commit apostasy? The first one is found in 1 Kings 3:3, ‘Solomon loved the Lord, walking in the statutes of David his father, only he sacrificed and made offerings at the high places’ (ESV). Do the latter sins exclude him from entry into the kingdom? Yes, he had considerable sins that needed forgiving, but we are told he loved God and followed the (godly) statutes given by his father, David. 14 And the Lord raised up an adversary against Solomon, Hadad the Edomite. He was of the royal house in Edom (ESV, emphasis added). We know from 1 Kings 3:3 that ‘Solomon loved the Lord, walking in the statutes of his father David’. This same Solomon chose to love many foreign women who turned his heart away from the Lord. The God who forbade adultery (Exodus 20:14) had that commandment violated by Solomon. AND THERE WERE CONSEQUENCES of his polygamy, etc. and 1 Kings 14 tells us what they were. So the lesson is that a person can love the Lord and still be tempted by an adversary and foreign women as in Solomon’s case and depart from following the Lord. When do people lose their salvation? This perseverance of the saints depends not upon their own free will, but upon the immutability of the decree of election, flowing from the free and unchangeable love of God the Father; upon the efficacy of the merit and intercession of Jesus Christ, the abiding of the Spirit, and of the seed of God within them, and the nature of the covenant of grace: from all which arises also the certainty and infallibility thereof (Chapter XVII:I-II). ‘God is adequate as our keeper. “Nothing…can separate us from the love of God,” because the love of God holds us fast. Christians “are kept by the power of God through faith unto salvation” (1 Pet 1:5), and the power of God keeps them believing as well as keeping them safe through believing. Your faith will not fail while God sustains it; you are not strong enough to fall away while God is resolved to hold you’ (Packer 1973:310, emphasis in original). Stephen Ashby, a Reformed/Classical Arminian (like Jacob Arminius), concludes that ‘if one becomes an unbeliever, which is not probable but yet is possible since he or she is a personal being, then God removes that individual from the true vine, Christ Jesus (John 15:2, 5). Hence, the singular act of apostasy is irreversible (Heb. 6:4-6)’ (Ashby 2:187). The sum of all is this: If the Scriptures are true, those who are holy or righteous in the judgment of God himself; those who are endued with the faith that purifies the heart, that produces a good conscience; those who are grafted into the good olive-tree, the spiritual, invisible Church; those who are branches of the true vine, of whom Christ says, “I am the vine, ye are branches;” those who so effectually know Christ as by that knowledge to have escaped the pollutions of the world; those who see the light of the glory of God in the face of Jesus Christ, and who have been made partakers of the Holy Ghost, of the witness and of the fruits of the Spirit; those who live by faith in the Son of God; those who are sanctified by the blood of the covenant, may nevertheless so fall from God as to perish everlastingly (John Wesley Elements of Divinity, ‘Perseverance of the saints’). The reason given in Hebrews 6:4-6 for losing salvation (‘falling away’ from the faith) is apostasy. The Greek word used confirms this: parapesontas, aorist participle of parapipto, which Arndt & Gingrich’s Greek lexicon gives the meaning as “fall away, commit apostasy” (1957:626). It is a point action (aorist tense) of committing the act of apostasy. This meaning is affirmed by Thayer’s Greek lexicon: “to fall away (from the true faith)” (1962:485). So, based on this passage from Heb 6:4-6, we can say that it is possible for a true believer to fall away from the faith, commit apostasy, and lose his/her salvation. If that happens, it is impossible for those who commit apostasy to be restored to repentance. What’s the evidence that Solomon committed apostasy? (Gk. apostasia, rebellion, abandonment, apostasy; from apo, away, and histe4mi, stand). The deliberate repudiation of belief once formerly held. An apostate is one who thus abandons Christianity. In the post-NT church apostasy, murder and adultery were regarded for a time as unpardonable sins. Later it become pardonable only after great (in some cases, lifelong) public penance (Brown 1975:51). If you equate ‘turning their heart away from God’ with ‘deliberate repudiation of belief once formerly held … one who abandons Christianity’, then I can accept that this is a definition of apostasy. However, apostasy is a deliberate abandonment of faith formerly held, in my understanding. Michael Patton has written this sad but challenging article, ‘Billy Graham and Charles Templeton: A Sad Tale of Two Evangelists‘. There is evidence here that Templeton may not have been intellectually convinced of the Gospel. See this excerpt from Charles Templeton’s, Farewell to God (1996). ‘All our differences came to a head in a discussion which, better than anything I know, explains Billy Graham and his phenomenal success as an evangelist. ‘I don’t know about anybody else,’ he said, ‘but I’ve decided that that’s the path for me’” (Templeton 1996:7-8). Templeton, as his own story makes plain (p. 3), never truly reached a point where he was intellectually convicted of the truthfulness of Christianity (what the reformers called assensus). Assensus represents the conviction we have in our minds. Assent of the mind is vital to our faith. Graham, according to this testimony, had enough assensus to make a decision. He was not going to be an eternal “tire-kicker” with regard to Christianity. Sure, he could have waited, like Templeton, until every possible objection to the faith was answered, but this would amount to a failure of modernistic irrationality. We can never have all our questions answered. At some point there must be a sufficiency in probability (‘A sad tale of two evangelists’). the interview former atheist, Lee Strobel … conducted with Templeton. When Strobel asked him about Jesus, he said, ‘“he’s the most important thing in my life.” He stammered: “I . . . I . . . I adore him . . . Everything good I know, everything decent I know, everything pure I know, I learned from Jesus.” Strobel was stunned. He listened in shock. He says that Templeton’s voice began to crack. He then said, “I . . . miss . . . him!” With that the old man burst into tears; with shaking frame, he wept bitterly (see Strobel 2000:21-22). The lexicon meanings of apostasy from Arndt & Gingrich, and Thayer, are that the word used for ‘fall away’ in Heb 6:6 means falling away, apostasy. Rebellion has different connotations in English to apostasy. We have evidence that Solomon loved God, was walking in the statutes of his father, David, and then committed gross sin with ungodly women and in serving other gods. I do not have unequivocal evidence from the OT or NT that King Solomon committed apostasy and was damned, never to return to repentance. We have evidence that Solomon committed sin in engaging with ungodly women, serving other gods, but I don’t know Solomon’s ultimate destiny as I don’t have all of the evidence. (Proverbs 1:1-7 ESV, emphasis added). The introduction to the English Standard Version’s Book of Proverbs states that ‘because Proverbs is a collection of writings it has multiple authors, but most of the book is attributed to King Solomon. Individual proverbs date from between the tenth and sixth centuries B.C.’ (ESV 2001:634). This I do know from Heb 6:4-6 that it is possible for people to fall away from the faith, commit apostasy, and can never be restored to repentance. Ashby, S M 2002. A reformed Arminian view, in Pinson, J M (gen ed), Gundry, S N (series ed). Four views on eternal security, 135-205. Grand Rapids, Michigan: Zondervan. Brown, C (ed) 1975. New international dictionary of New Testament theology, vol 1: A-F. Exeter, Devon U.K.: The Paternoster Press / Grand Rapids, Michigan: Zondervan Corporation. Packer, J I 1973. Knowing God. London, Sydney, Auckland, Toronto: Hodder and Stoughton. The Holy Bible: English Standard Version. Wheaton, Illinois: Crossway Bibles (a division of Good News Publishers). Templeton, C 1996. 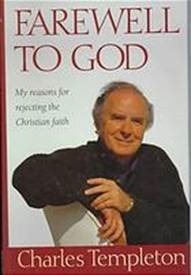 Farewell to God: My reasons for rejecting the Christian faith. Toronto, Ontario: McClelland & Stewart Ltd.
Thayer, J H 1962. Greek-English lexicon of the New Testament, being Grimm’s Wilke’s Clavis Novi Testamenti. Grand Rapids, Michigan: Zondervan Publishing House. What provoked this article was a thread started in Christian Forums, General Theology, Soteriology, ‘Was Solomon saved?’ Available at: http://www.christianforums.com/t7803787/ (Accessed 11 February 2014). This is part of my post at ibid., OzSpen#37. I am using ‘perseverance of the saints’ and ‘eternal security’ as synonymous terminology. Christian Forums loc cit, Edial#61. This was translated, with additions, and revisions, from an original German publication, theologisches begriffslexikon zum Neuen Testament, ed by L Coenen, E Beyreuther, and H Bietenhard. In the USA, it was published by InterVarsity Press in 1973. See: http://en.wikipedia.org/wiki/InterVarsity_Press (Accessed 21 February 2014). This entry was posted in Apostasy, Arminianism, Calvinism on 23 February 2014 by spencer.